Presentation Folders are the next step for any business. Bringing professionality into any meeting or product presentation/quote. They are fully customised with your corporate branding and are printed in High Definition full colour cmyk process with options for celloglazing and die shapes. 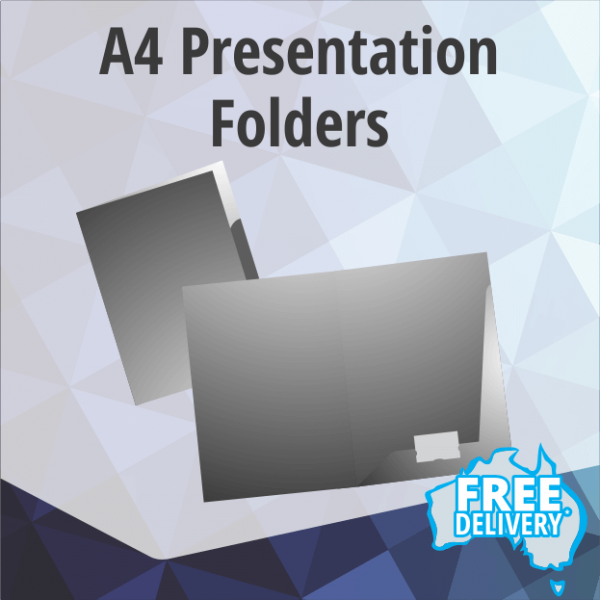 Our A4 presentation folders are large enough to fit most documents, We also have options for gusseted pockets to keep everything together. The presentation folders are supplied die cut and really to simply click together, No Taping required. This Presentation Folder is printed in High Definition cmyk full colour on a superior 350gsm semi-gloss stock. It can be printed one 1 side or 2 depending on your needs. We have a selection of existing die formes you are welcome to use, or if you require something specific we can machine a die forme to suit your needs.